On this dialog you can purchase equipment and magic items. From here you can get to the dialogs to customise items, manufacture items and specify where inventory items are stored. Note: New items can be added by editing an XML file. 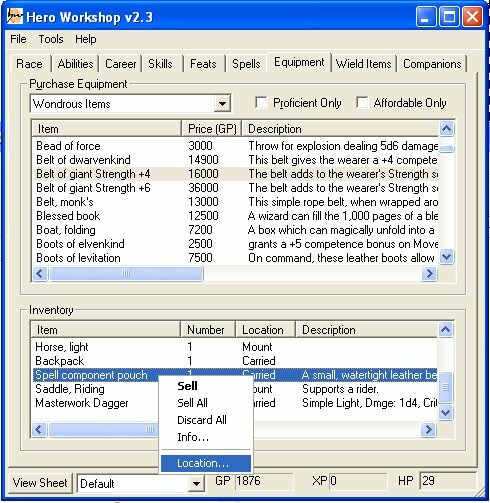 Right click on an item of equipment to customise it. 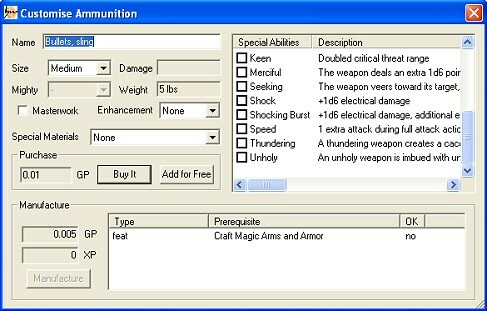 For weapons and armour you can specify magic enhancements, special materials and special abilities. For spell storing items (scrolls and wands) you can change the caster level or (with the appropriate feat) manufacture items. By right-clicking on an item in your inventory and selecting the Location option you can change the location of the item. 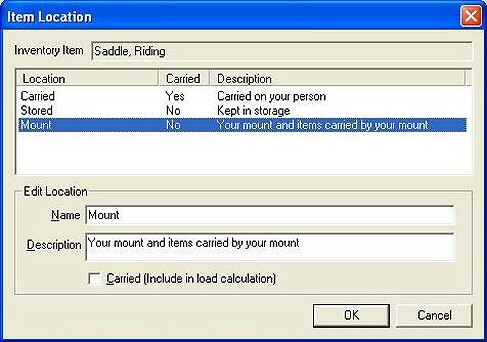 This means that you can specify that the item is carried by your mount and so should not be included in the calculation of the weight carried by your character.